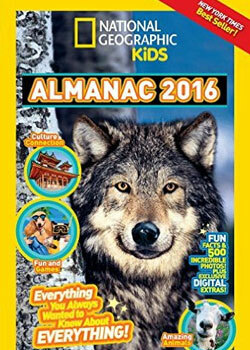 National Geographic Kids Almanac – It is a fabulous magazine that features a variety of articles and write-ups on nature, animals, science, and technology. Yes of course, as the magazine is National Geographic Kids, it has many interesting and fun facts about animals. The highlights are the photos! Colorful pages and brilliant pictures of animals, surely entice the viewers to read it. The magazine has some incredible pictures of animals, a lot of fun trivia for kids, arts and crafts, activities, games, jokes, facts, and all weird stuff. In addition, all these are factual. The magazine is divided into 10 different segments. Each segment features special stuff about various elements. For instance, current events, about the animals, environment, cultures, and many more segments. The magazine is designed and crafted by a team of experts, educational specialists, nature enthusiasts, avid photographers, and researchers. The magazine has both national and international editions. The new features of Almanac 2015 are the puzzles and quizzes. National Geographic Kids Almanac 2015 is a super combo of visual and written content, and is an entertaining and educational book for kids. The book is ideal for kids aged 8 years and over. Of course, younger children would also benefit from it visually. Owing to the growth of technology, the magazine features a lot of online games and galleries. The animal based games, galleries and videos are available for downloading. Besides giving insight on animals and science, the book features many educational tips provided by experts. The magazine is very useful for kids as they can get a lot of lesser-known information about science, environment, and animals. This is one of the must-have magazines for kids as it can be useful for school projects. The quality of the print is very good. It offers good value for money. The magazine is published by Paperback and is one of the best-selling magazines for kids. Don’t miss it.